Five days in and the awful reality is setting in. 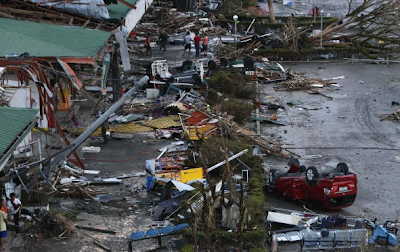 Racing across the nation of some 2,000 inhabited islands, the super typhoon has left behind truly horrific conditions. Financial contributions are needed from each of us. Our suggestion is to give to organizations with a great deal of experience as they will react quickly, but also manage resources for the very long road ahead. In many communities, the entire infrastructure used to provide food, water, and basic services has been eliminated. This was one of the largest storms to ever form on the planet. The devastation assessments are only beginning to come in. Your donation will be important financially, but it will also signal to world leaders that we care, and that large scale resources should be deployed. We know from the Boulder Floods in our own home town earlier this year, that reaching out to help truly matters to those in need. Hope you find the donation links above useful.